It’s just a muddy, 52-hectare field in the middle of Seabird Island First Nation, but in a couple of months, it will be lined with budding green hops as far as the eye can see. 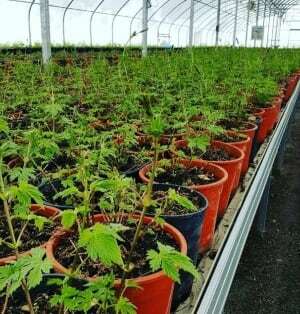 “When we went out there and looked at the land, smelled the earth and examined some soil samples, we were speechless,” says Alex Blackwell, managing director at Fraser Valley Hop Farms. The Sto:lo haven’t been widely known as tillers of soil, yet Seabird Island First Nation, on the Fraser River about 100 kilometres east of Vancouver, is embracing farming to make use of their most abundant resource: land. “The area around the 49th parallel produces some of the best hops in the world,” says Blackwell. In fact, the Fraser Valley used to be the largest hop-growing area in the British Commonwealth and many Sto:lo worked as hop pickers in the late 19th and early 20th centuries, providing them with a seasonal income between the summer and fall salmon runs. But now hops is selling for $15-$20 per pound, thanks to the popularity of craft beer. Fraser Valley Hop Farms is seeking to capitalize on soaring hops prices, but finding a place to raise the crop in the Lower Mainland isn’t easy. That’s where Seabird Island comes in. At a time when many reserves are starting to lease land out for residential development, Seabird plans to stick to agriculture. “We are not interested in giving up arable land for subdivisions,” says Tyrone McNeil, vice-president of Sto:lo Tribal Council and director of Sqéwqel Development Corp. This has been a point of contention, though, not only at Seabird, but in many Sto:lo communities. The members of Yakweakwioose First Nation, about 30 kilometres southwest of Seabird Island, have different ideas about what to do with the 16-hectare farm that occupies about 80 per cent of their reserve. “Some [band members] are trying to combine their acreage [of the farm] and get it developed,” says former chief Frank Malloway. The farm has a long history. It was started in the 1940s by then chief Richard Malloway, also a former hop picker. Many other Sto:lo from nearby reserves, also seeking steady incomes, ventured into the dairy business around this time. “My dad’s grandpa had a dairy farm [at Seabird Island] and was one of the biggest milk producers on this side of the Fraser. But when the province introduced the quota system, they didn’t provide any quota for our reserve, so it pushed them out of dairy,” says Tyrone McNeil. The supply management system for dairy was implemented in B.C. in the late 1930s to regulate supply; it determined how much each farm could sell. 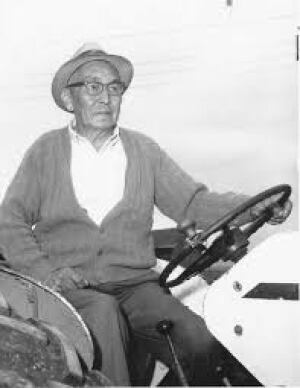 The farmers at Seabird weren’t given any quota and, under an Indian Act provision in effect from 1927-51, they were barred from hiring lawyers to fight for their rights. Richard Malloway and some of the other Indigenous farmers survived the implementation of the quota, but tightening regulations continued to push them out of the market. By the 1960s, all Fraser Valley farms were required to get a cooler for their milk. Malloway was one of the few Sto:lo with enough savings to make the $2,500 purchase. He soon became known in his community as the “last Sto:lo dairy farmer,” continuing until he retired in the ’80s. The farm has since been leased to non-Indigenous farmers, though its size has been reduced to make space for a longhouse and, recently, a small housing development for community members. Leaders at Seabird Island First Nation are determined not to be pushed out of the farming business again and have set more land aside for agriculture, clearing an additional 80 hectares of shrub last year. Fraser Valley Hop Farms are planning to expand their operation at Seabird to 140 hectares in the next two years. That could make Seabird Island the largest hop farm in Canada. Alex Blackwell hopes to forge strong connections to the community. The series “tem:éxw — Stories of Land” is produced in partnership with the reporting in Indigenous community course at UBC’s graduate school of journalism, at www.indigenousreporting.com.